← Wait…where did Spring go? So here is a picture of my personal favorite pumpkin planting method. We call this the “Pumpkin Jack” method. If you have ever read the children’s book, Pumpkin Jack by Will Hubbell, you understand. 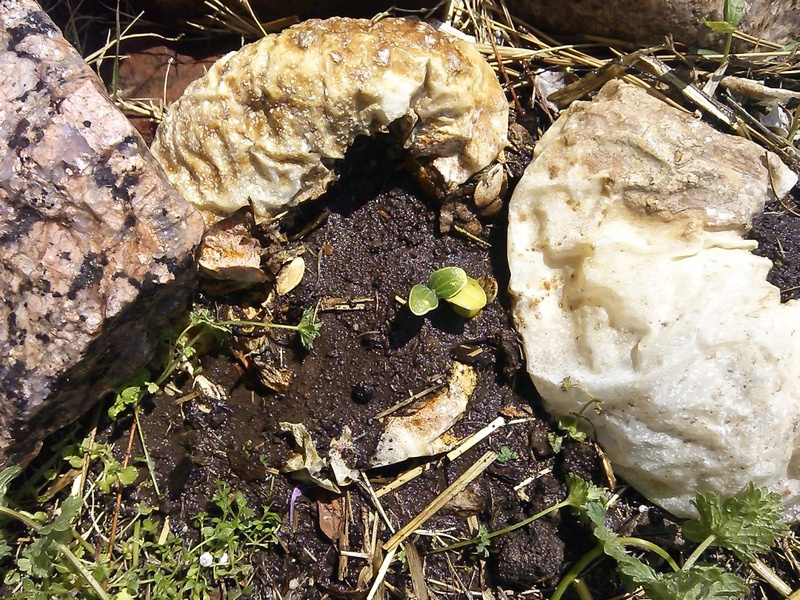 This is the pumpkin left under the snow that illustrates the life cycle so well. Of course after 5 years of growing pumpkins at Johnstown, our cattle, who are more than pleased to take care of our surplus crop at the end of the season, have planted their own scattered crop of pumpkins with their own method. We call these “Previously Pooped Pumpkins”. They are sprouting strong all over the pasture.